Bored of your usual exercise routines? Looking for a new challenge? 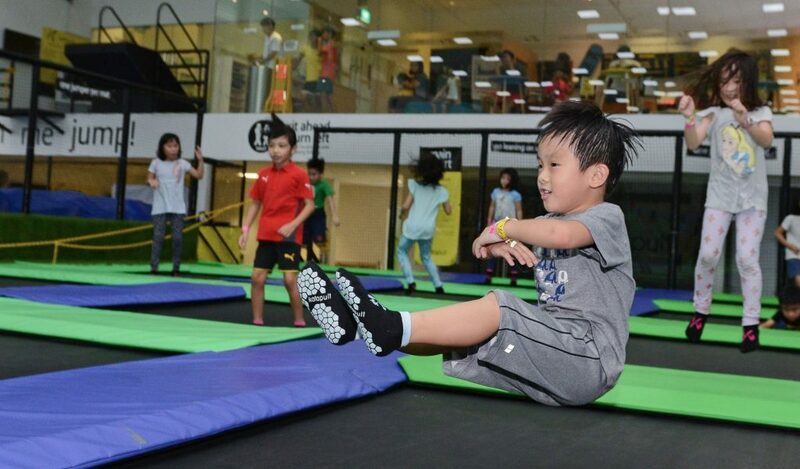 Get fit while having fun with Singapore’s most unique fitness programme, on a trampoline! Sweat it out like never before! The workshop is designed to introduce the basics of trampoline skills to beginners which forms an important foundation for all recreational trampoline gymnasts. It's Zumba on trampolines! High intensity, fun and energetic, get a total body workout while grooving to the music! Kazoomba is great for core strengthening, agility and flexibility gains with a focus on the hip and mid-section! Contact us for more information about our programmes!